The procedure is quick and completely painless. I never thought that I would say that but, it is better than going to a dentist. Use the contact form on our Contact page, to get in contact with us! There are so many people out there who shy away from smiling their natural smile just because of the reason of their stained teeth. 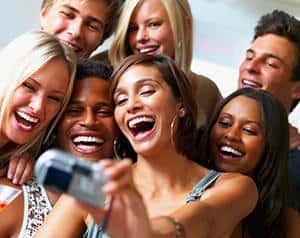 The rising social stigmas against discoloured and stained teeth slaughters their confidence and they start to feel insecure about their best feature. If you can relate with this and you are in the same boat, we have a good news for you. Smile 60 brings laser teeth whitening in Brighton to return the smile on everyone’s lips. Teeth whitening is a procedure to make teeth whiter and brighter by using a non peroxide gel, mouth trays or laser teeth whitening procedure. The process lightens the shade of the teeth so that you can smile beautifully without any fear. 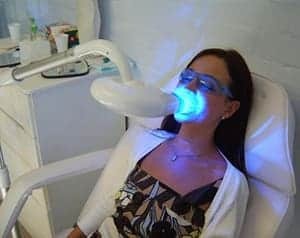 Laser teeth whitening or power whitening involves painting a patient’s teeth with a hydrogen-peroxide based gel and then shining a laser light on them. The laser light activates the bleaching agent of the gel and gives you perfect bright teeth within an hour. Effective: Laser whitening procedure is much more effective than other teeth whitening procedures. Over the counter home bleaching agents like gels etc. contain lower strength than the in-office professionally applied whitening agents. Faster: Over the counter gels and toothpastes take weeks and sometimes months to show their effect. 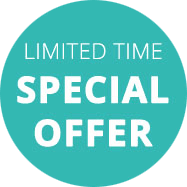 Whereas, in-office laser whitening procedure delivers results within one hour. All you have to do is fix an appointment at Smile 60 clinic in Brighton and leave the clinic in an hour with perfectly white teeth.